Even in an age of satellite imaging, large areas of the globe still lack adequate mapping. The problem reflects wealth inequality; the UN recently reported that a mere 2.9% of the African continent is mapped at a local level, compared to 87% of Europe. On the island of Zanzibar, a lack of current and detailed mapping can be a matter of life and death. Frequent floods have taken lives, but identifying flood zones is difficult without high resolution aerial images. Yet aerial imaging is expensive. When manned flights surveyed the island in 2004, it cost the country millions of dollars and took four years to digitise. Commercial maps often lack detail, contain cloud cover, and cannot be updated frequently enough. As drone tech became more accessible the Zanzibar Commission for Lands, in collaboration with the World Bank and the State University of Zanzibar, took on the world’s largest civilian mapping project. Starting in 2016, a team of tech students from the State University used senseFly eBee drones to fly over 850 square miles of Zanzibar. 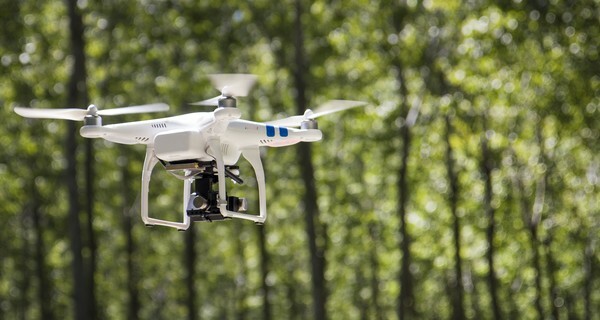 Each drone was programmed to capture aerial images and topography, which were later pieced together into maps and published on Open Street Map and the Zanzibar Social and Environmental Atlas (ZanSea). “It is satisfying that my country is making something so powerful. It will be ours and pioneered by us,” says one of the drone programmers. The new high resolution maps provide better information for humanitarian teams to map areas of disease, reach survivors during a flood and help councils plan safer housing. Zanzibar is now sharing its expertise with the Dar es Salaam City Council and with Ethiopian authorities.